If the title alone won’t keep this book in your memory forever, then for certain the story will. Alfie is having a birthday party. He is turning five. Unfortunately it is also on his birthday that the First World War breaks out. Alfie’s father, Georgie is a milkman by trade, and Alfie absolutely adores him. He longs to be old enough so he can wake up early in the morning and go on milk runs with his dad. But his dad says, “When you’re old enough”. Before the war started, Georgie had promised his son that he wouldn’t go away to fight. But, things change and Alfie’s father did not keep that promise. So Alfie was only 5 years old when his father went away leaving him and his mother Margie to fend for themselves. "Every night, before he went to sleep, Alfie Summerfield tried to remember how life had been before the war began. And with each passing day, it became harder and harder to keep the memories clear in his head." In the beginning there were letters from his dad. Alfie loved it when his mom read those letters to him. But over time, the letters become less and less frequent. To add to the angst, Alfie’s mom stops reading him the letters and hides them from him. However, Alfie finds her secret hiding place and tries to make sense of the cryptic narrative. It is now four years later and Georgie still hasn’t come home. Now nine, Alfie decides he wants to help his mom, who has started working longer shifts to put food on the table. The story takes a beautiful turn where I am reminded of a foreign movie I watched as a child called Boot Polish. The black and white movie that came out in 1954 changed my perspective of the world and that’s why the story of nine-year old Alfie going out to shine shoes at King’s Cross Station was heart warming and very believable. John Boyne is a masterful storyteller and this book is a delightful gem that I will cherish in my library forever. Wistfully told, it captures your imagination and your heart. 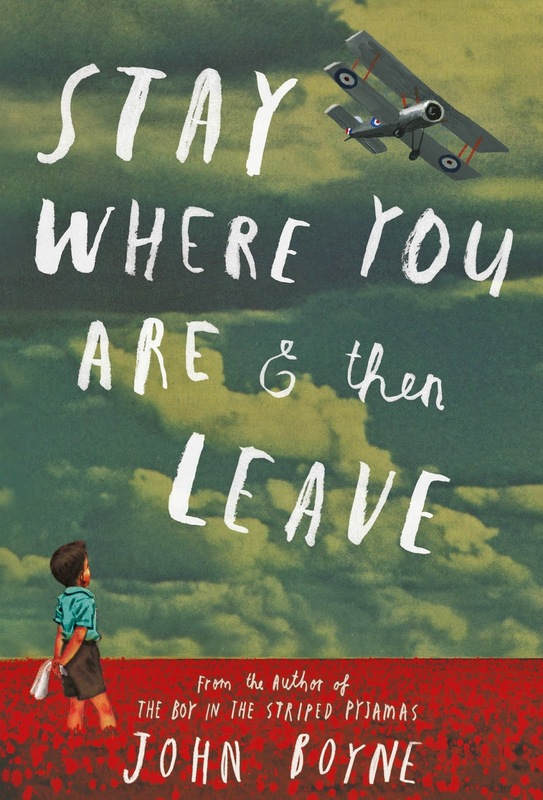 Stay Where You Are And Then Leave is published in Canada by Doubleday Canada, a division of Random House of Canada Limited, a Penguin Random House Company.